This 50-hour Sufi meditation teacher training is designed especially for those people who Have some invocation of inner light and want to share the beauty and light of Sufi meditation with the world. Sufi, The Way of Life – with Love, Prayer, and Celebration. Sufi – The people on the Path! For a Sufi, life is a continuous celebration. Love and Dance is Prayer, and living in prayerful mode is the way to God. In Sufism, you don’t find God one fine day after finishing your Sadhna. In-fact in Sufism, you experience God from the day One. Living under God’s grace and guidance, itself constitutes your Sadhna. In Sufism Love and Respect becomes your base of Life. ‘Purity – Authenticity – Grace’ becomes your base of functioning in Life. Hence the entire Life turns into a Prayer – The connection with Divine, God, Almighty!! And the Sufi experiences Oneness!! Five Days is all it takes to start this beautiful and amazing journey of inner wellness, empowerment and divinity. The Sufi Noor, Zikr – Circle Of Light Meditation Program is designed by Master Dev OM, a Sufi Mystic and Zen Master to give simple and powerful energy tools to everyone to experience a higher level of life, energies, emotions and divinity. He says that the entire universe is made of ‘Noor/Light’; hence everyone is a ‘Being of Light’. They just need to realize it. Path of a Sufi coupled with Sufi meditations is the best way to realize it. 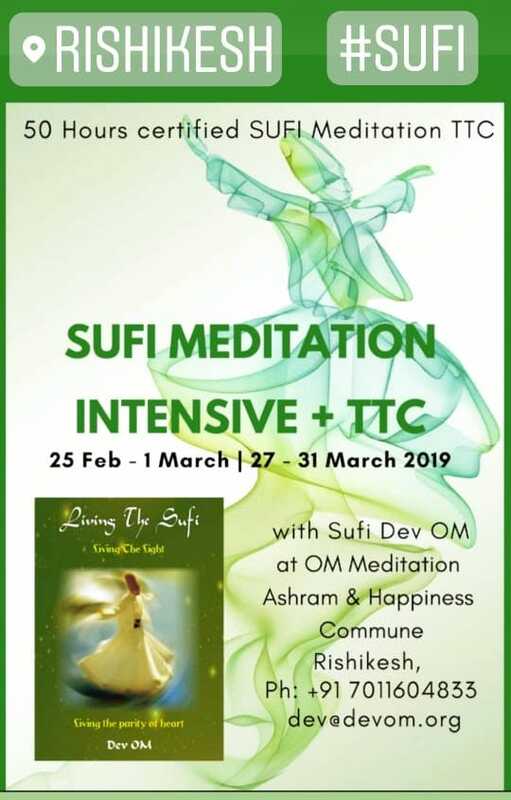 We invite you to come and dive into the Divine Ocean of Love and Prayer in this 50 Hours – Five days of Sufi heart Intensive Training + Teacher Training Certificate Course on Living Sufi. I bet, it changes your entire way to look at life and most importantly at yourself!!. You may just remain in this ‘divine circle of light’.. forever!! A Being of Light gets cleansed of negativities; attracts other ‘light beings’ to life; invites abundance, permanent peace and joy in life; goes through an spontaneous flow of growth and evolution in all dimensions. • How to live Soulful Life in Sufi way. • Invoke the unlimited flow of Divine energies and blessing. What Meditations and practices you will learn? • Mindfulness with Light Meditation. • Learn to create energy protection around you. Facilitated by Dev OM, a living mystic and a Sufi. 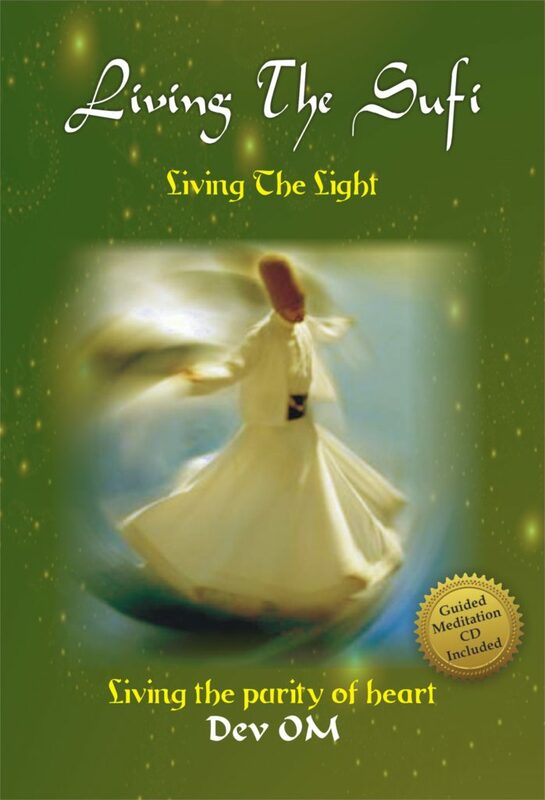 Dev OM is the author of ‘Living The Sufi’ book and many others. He is the founder of ‘Light Meditation Circle’. He has taken several Sufi heart meditation training in the US, Spain, UK, Greece and in various parts of India. His Sufi retreats are focused on Sufi Marqaba with Sufi way of Ibaadat and sadhna for self + spiritual development. His approach is very simple, friendly and down to earth which motivates and guides a newcomer and a seasoned meditator alike. It is a great chance to be near the holy river Ganga in the Himalayas. 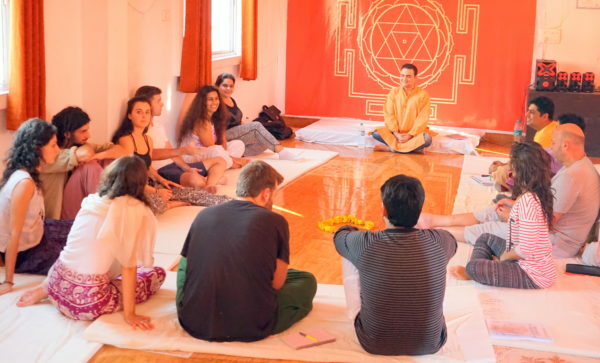 ‘OM Meditation Ashram & Happiness Commune’ in Rishikesh is a very beautiful serene place with great spiritual energies. It is situated inside a beautiful resort with all hygiene and good amenities. Just living there is healing and meditation. Regular Residential Course Price In Deluxe A/C en-suite room with hot shower for Double Occupancy: € 500 / Single Occupancy: € 650 – Early Birds Discount € 100. Regular Residential Course Price In an en-suite room with hot shower and fan for Double Occupancy: € 485 / Single Occupancy: € 620 – Early Birds Discount € 100. Regular Residential Course Price In a mixed dorm with shared bathroom and hot shower: € 475 – Early Birds Discount € 100. Breakfast, Lunch, Drinks / Tea for 5 days.